Dit bericht werd geplaatst in Donker turquoise op februari 19, 2016 door Caja. 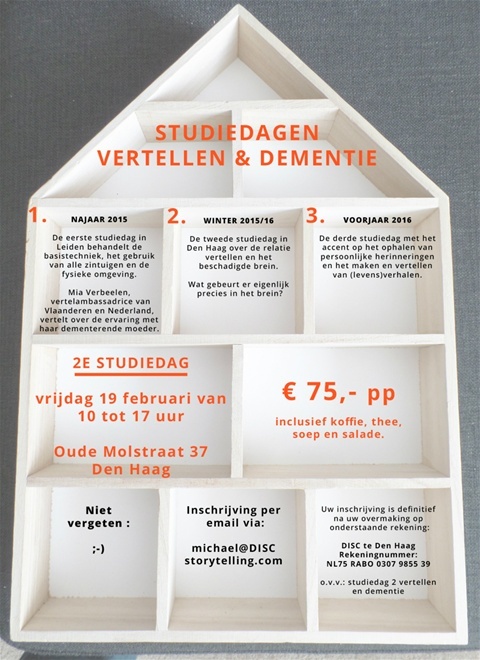 Together with Desiree van Keulen and Het Verhalenrijk, DISC is organising 3 fascinating seminar days on the Craft of Storytelling & Dementia Health Care. 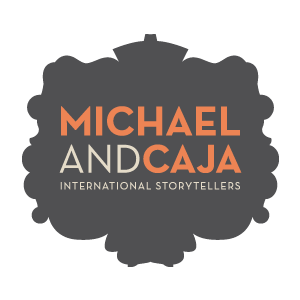 Day 1 has passdd and has been SUPER INSPIRING; we learned so much on the inviroment to tell in, the different phases of Dementia, what stories to tell, we’ve worked on a real case study and have been moved by the magical story of Mia Verbeelen, the Storytelling Ambassador of Flandres and The Netherlands. This will be on Friday Febr. 19th. at DISC in The Hague. On this day we will focus on what happens in our brain in case of Dementia/Alzheimer; we will learn more on the concept of TimeSlips and we wil hear AnneMargriet Veldhorst share her story.